Whisk egg and milk to combine. Set aside. Pulse butter, cheese, and all the dry ingredients in a food processor until it binds together. Add just enough of the egg and milk mix to form a soft dough (but not runny - you may not need it all). Drop tablespoonfuls of the dough onto a lined baking sheet, leaving room in between. Bake for roughly 40 minutes (more or less) or until a stick inserted into the center comes out clean. Love Gruyere and this recipe looks amazing! 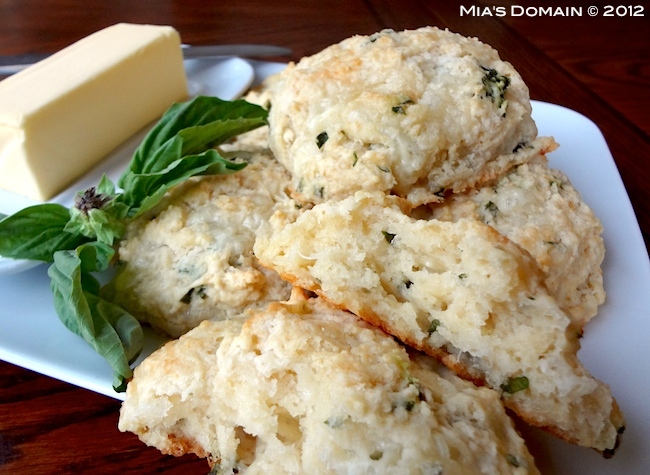 I've yet to attempt making scones myself but these are right up my alley!